Summer is fast approaching! I am thoroughly looking forward to getting some sun, as well as traveling Europe a little bit more as the weather gets even more lovely, London has certainly blessed us with a beautiful spring! I love wearing summer dresses with absolutely no jewellery to really accentuate the minimalist look. My favourite colour combination of the moment is navy and black. It can be really hard to team these two colours together, which is why you must always remember to play up the texture. 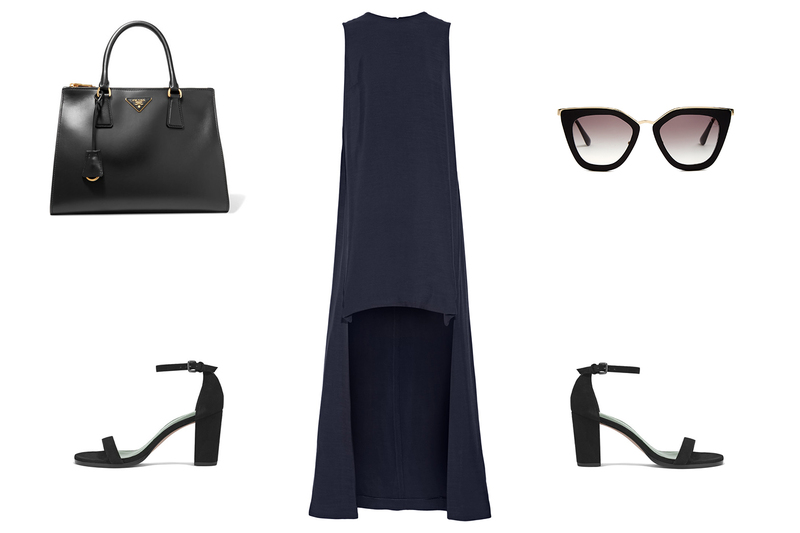 Shop this minimalist summer look, plus more, below!